Would you believe us if we told you that you can buy a television under Rs 5,000? Yes, we know. You think this is a joke. We would have thought the same had someone told us a month back that it was possible. But domestic electronics maker Samy Informatics Pvt Ltd has made this possible by launching a smart TV at Rs 4,999. Yes, you read that right. The electronics brand has today launched a 32-inch Android Smart TV called Samy SM32-K5500 HD LED TV that, as we just mentioned, is priced at Rs 4,999 and is a part of the government’s ‘Make in India’ and ‘Startup India’ programmes. We should mention that most of the parts of the television are built in India, except for its LED screen. Although its price point is the television’s biggest highlight, another key feature of the smart TV is its immersive audio performance with an external sound blaster. Samy Informatics has said that with its offering it plans to bring smart TV experience to every household. The company has also said that it will be providing an onsite service and warranty for its Android smart television. Coming to the features and specifications of Samy SM32-K5500 HD LED TV, as the name suggests, it features a 32-inch display that has an HD resolution of 1366×786 pixels. The display of the television comes with an aspect ratio of 16:9 and it has a dynamic ratio of 1000000:1. The company has touted the television for providing crisp details and rich texture in its highest resolution. Samy SM32-K5500 HD LED TV has 512MB of RAM and 4GB of ROM using which it can store various apps and content. The television has two 10W speakers, among which one is an SRS Dolby Digital and the other is a 5 Band Equalizer. For connectivity, there are two HDMI and two USB ports, an audio out port and a port that can be used for video input. You can also connect a USB to Samy SM32-K5500 HD LED TV to play videos, music and see pictures. The television also comes with in-built Wi-Fi and has screen mirroring. We should mention that mostly these features are only seen in premium offerings in the smart TV market. The Samy SM32-K5500 HD LED TV runs Android 4.4 and comes with a number of pre-installed apps like Facebook and YouTube. You can even download other apps if you think they would be useful to you. A 40-inch variant of the smart TV has also been launched which is priced at Rs 15,000. If you are an interested buyer, you should know that the television can only be bought via Samy’s official app. 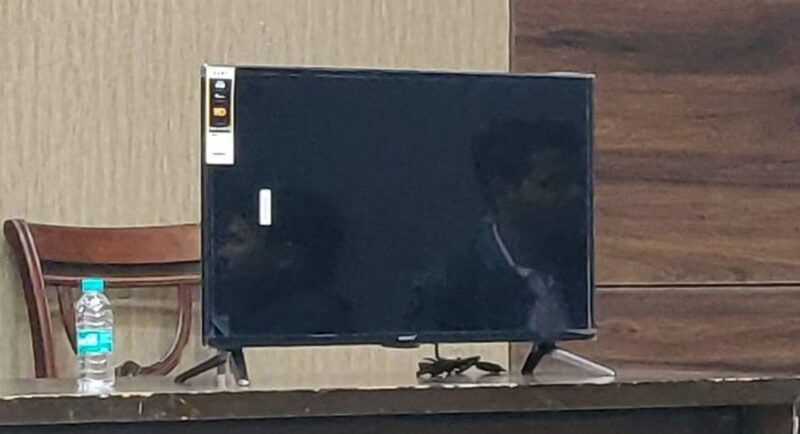 The company is also offering a 3-year warranty on the television and it says that the pricing has been kept so low because it is selling directly to customers and there is no middle man involved.